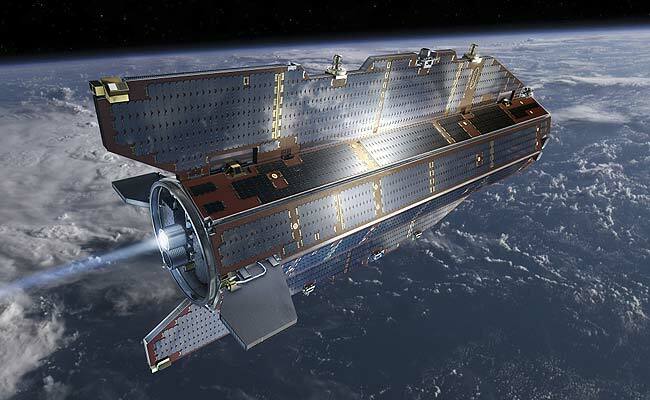 A European satellite that mapped Earth's gravitational field in exquisite detail will be pulled down by gravity to its fiery destruction sometime in the next few days. Where and when it will crash no one knows. It could be almost anywhere on the globe. About 25 to 45 fragments of the 1-ton spacecraft are expected to survive all the way to the surface, with the largest perhaps weighing 200 pounds. It is the latest in a parade of spacecraft falling from the sky in what are worryingly called "uncontrolled entries." About 100 tons of debris will fall from the sky this year alone. There are, however, no known instances in which anyone has been injured by space debris. "It's rather hard to predict where the spacecraft will re-enter and impact," said Rune Floberghagen, the mission manager for the European Space Agency's Gravity Field and Steady-State Ocean Circulation Explorer, or GOCE. "Concretely our best engineering prediction is now for a re-entry on Sunday, with a possibility for it slipping into early Monday." GOCE (pronounced GO-chay) ran out of propellant last month and has been dropping about 2.5 miles a day. As of Wednesday, it was still 113 miles up as it circled the Earth once every 88 minutes. Its orbit goes almost directly over the poles, and as the planet rotates, almost all places on Earth pass beneath it at some point. Two years ago, NASA's decommissioned Upper Atmosphere Research Satellite, tumbling out of control, worried people around the world until it splashed harmlessly in the Pacific. Later that year, the Russian spacecraft Phobos-Grunt launched into orbit but then malfunctioned. Instead of heading toward Mars, it crashed back to Earth a couple of months later, again falling in the Pacific without incident. The chances that a chunk of GOCE or any other space debris will injure anyone are tiny, but not zero. Floberghagen said the debris will endanger about 15 to 20 square yards of the Earth's surface. "If you compare that to the surface of the planet, it's a very small number," he said. 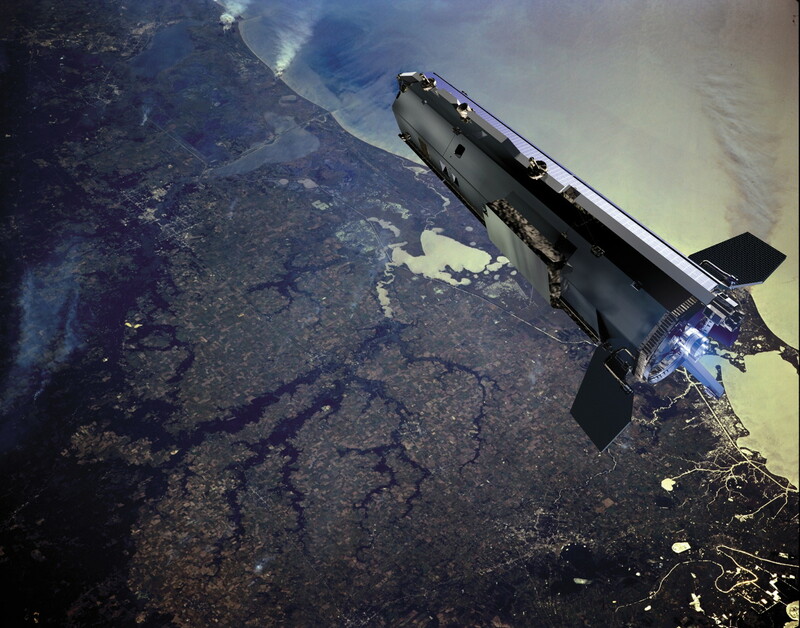 An uncontrolled re-entry was always the planned fate for GOCE, which was launched in March 2009. Unlike most spacecraft, which use thrusters to adjust their orbits, it has a highly efficient propulsion system called an ion engine. Unlike thrusters, the engine can fire continuously to offset atmospheric drag. That allowed GOCE, with its sleek, airplanelike shape, to maintain a low orbit, just 160 miles up and later 140 miles. From that perch, it made gravity measurements that were much more accurate and detailed than previous ones. "We can actually map, see geology, in the gravity map," Floberghagen said. "This is something that is quite unique, actually." For example, by combining GOCE's gravity measurements of the surfaces of oceans with altitude measurements from other spacecraft, scientists have created global maps of ocean currents. The data will also help scientists study ice sheets and convection in the Earth's mantle, and help oil companies figure out where to drill. While the ion engine was able to keep the spacecraft aloft, its thrust was far too weak - "More or less equal to what you normally exert on a piece of paper when you exhale," Floberghagen said - to push the spacecraft to a trajectory that would assure it of ending up in an empty stretch of ocean. With its propellant tank empty, it is now guided by gravity and air friction. "Quite literally GOCE is now nearly flying like an airplane without an engine, with the upper layer of the atmosphere providing aerodynamic stabilization," Floberghagen said. As it descends into thicker air, the atmospheric drag will increase sharply, and its fall is expected to accelerate in a final plunge sometime between Saturday and Monday. A day before re-entry, mission managers will be able to narrow the time of the crash within three orbits, Floberghagen said. GOCE's instruments continue to operate, providing scientists with detailed data about its final plunge. In 2008, the United Nations adopted guidelines to reduce the dangers caused by space debris. 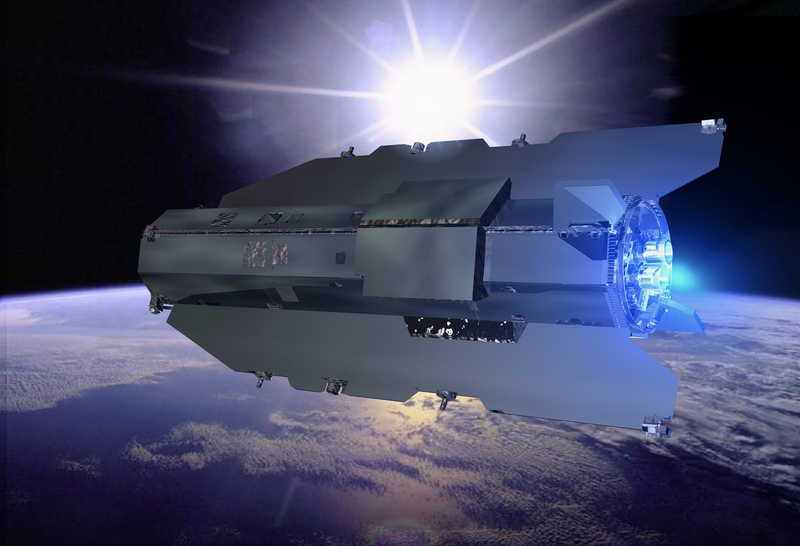 By then, GOCE had already been designed, but a future mission like it might have additional thrusters for a safer ending.